Prof. Dr. Klaus Töpfer from Germany was born in Silesia in 1938. After secondary school and military service he studied economics. In 1968 he earned a doctorate at the University of Münster in regional policy and locational decisions and went on to teach as professor at various universities. German Chancellor Helmut Kohl appointed him Federal Minister of the Environment in 1987. Two years later he took over the Federal Ministry for Regional Planning, Building and Urban Development. 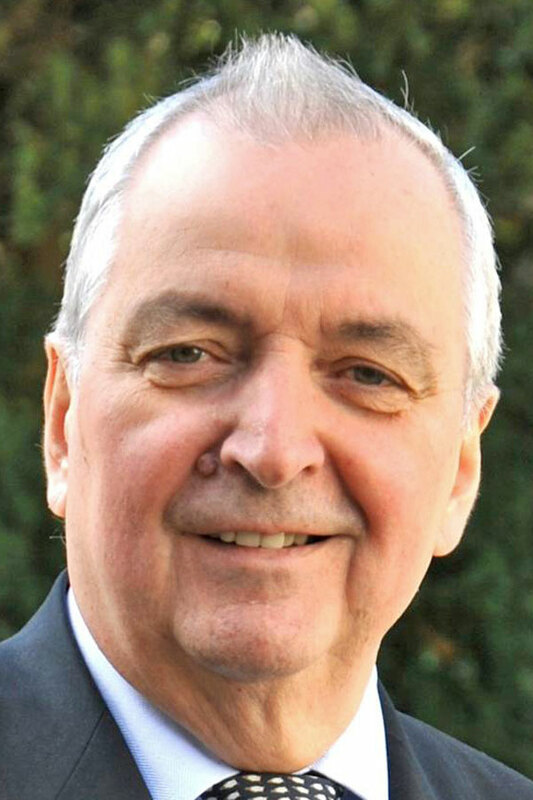 In 1998, Klaus Töpfer was appointed Executive Director of the United Nations Environmental Programme (UNEP) in Nairobi – partially also as a result of his dedication at the 1992 Earth Summit in Rio where he supported initiatives such as the UN Convention for Biodiversity and the UN Convention of Climate Change. Currently, the OWA-VIP laureate is Director of the Institute for Advanced Sustainability Studies (IASS) in Potsdam, Germany. 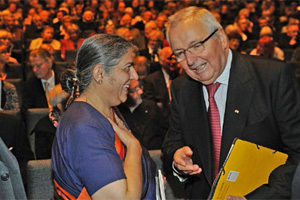 His solidarity with organic agriculture dates back to the 1980s to his time as Minister of the Environment when organic farmers were defamed by the Federal Minister of Agriculture and by the President of the German Farmers Association respectively as “dicky ideologists” and “green crackpots”. The first official encounter between IFOAM and Klaus Töpfer took place in 1992 at the Earth Summit in Rio. At the time, the IFOAM headquarters were located in the Saarland close to Klaus Töpfer’s residence. Therefore, it was natural for him to participate as guest of honor and key note speaker at the IFOAM 20 years anniversary conference in Tholey-Theley. With his broad expertise, his charisma and his humor Klaus Töpfer was one of the best speakers. Already in the text that he contributed 22 years ago to the IFOAM anniversary issue he stated the following: “With the renunciation of chemical synthetic pesticides and highly-soluble fertilizers, a diverse crop rotation and mostly closed material cycles, organic agriculture is right on target! (…) The Earth Summit in Rio made clear that we have to use our resources in all areas very carefully and wisely. The global imitation of highly intensified agro-industrial methods will not result in an alleviation of hunger but in the waste of resources.” Unfortunately, this assessment is more up-to-date today than ever. A decisive milestone for the organic movement was the cooperation with UNEP Director Klaus Töpfer as opening speaker and host of the conference initiated by IFOAM and WWF on biodiversity in organic farming. Wangari Maathai, the first OWA-VIP laureate, and Klaus Töpfer know each other from Nairobi where they cooperated on various environmental projects and discussed their common passion, the protection of our earth. With Klaus Töpfer the global organic movement honors a man who showed his true colors at an early stage. His support for the political and international recognition of the organic agricultural movement has been and continues to be very significant. The OWA-VIP (One World Award for Very Impacting People) is granted to prominent, international individuals who show special commitment for the organic movement and for more justice in the world.